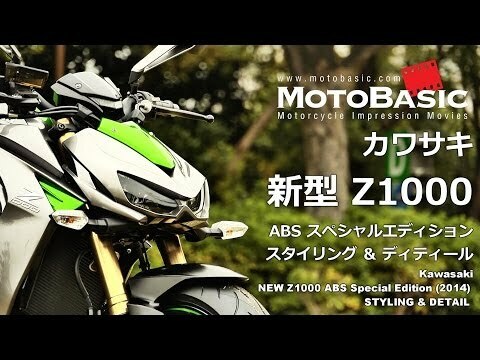 The Kawasaki Z1000 did not change all these years. It has that same features but remains its popularity and desirability. The Kawasaki Z1000 series is a flagship roadster from Kawasaki which not only looks menacing but has the performance to match its extrovert appeal. The Kawasaki Z1000 super naked has arrived bigger and better than ever before. The super naked class is now one of the largest segments of the UK motorcycle market. For 2017, the Kawasaki Z1000 jumped straight to the front of this highly competitive class. This bike is one of a kind and one distinctive Z concepts of Kawasaki. It has even been furthered still by the Kawasaki's Sugomi design. The Kawasaki Z1000 showed many upgrades with all its game-changing effects. It has a high-performance Tokico monobloc caliper which one of the most obvious additions to this stunning motorcycle. The overall design of the Kawasaki Z1000 hasn't gone under many significant changes in almost last five years, but it still looks as if it has arrived from the future. The Kawasaki Z1000 looks extremely extrovert and futuristic, which makes the bike look very different from its peers. The Kawasaki Z1000 has got an aggressive looking front fascia, which consists of a sloping bikini fairing incorporating two sleek full LED headlamps shaped like predator's eyes. The Kawasaki Z1000 bike does get a very small tinted visor behind the instrument console, looks unique but it is almost useless, and not necessarily a need to be added on the bike. From the sides, the Kawasaki Z1000 looks massively impressive with its taut and muscular good stance. Its fuel tank looks big and bulky which is equipped with tank extensions which extend all the way down to the engine, making it look vertically much bigger than what it is. It almost has a non-existent side body cowls and pointy and high-mounted tail section which gives the Kawasaki Z1000 a very aggressive stance. For its tail section, it ends up in a small LED tail lamp and a pillion seat, which really looks like a rear seat cowl isolation. It has the dual exhaust pipes on either side stacked vertically one over the other and enhances the muscular appeal of the Kawasaki Z1000. Another major highlight of the Kawasaki Z1000 motorcycle is its fully digital instrument console. It has a unit but is divided into two kinds of segments. The first half of it is the tachometer and some might say that its tail lights are placed on the upper partition and on the second half of the tachometer which is in the post the redline and other data like speedometer, odometer, trip meters, fuel gauge, and temperature gauge on the lower one. As expected on this great Kawasaki Z1000 is the quality levels and fit-finish which is impeccable. The Kawasaki Z1000 is completely armed with a fantastic suspension setup. It includes a 41mm inverted telescopic forks with step-less compression and rebound damping and spring preload adjustability at the front. At the rear side, you can spot that it has the horizontal back-link, it also has the gas-charged, the mono-shock with step-less rebound damping and has the preload adjustability at the rear. For its suspension, it is quite stiffly sprung to make it an agile handler, which though takes a toll on its overall ride quality, which is jerky at some places. When it comes with its braking system, the Kawasaki Z1000 is fitted with dual 310mm petal disc brakes at the front and a single 250mm petal disc brake at the rear. The Kawasaki Z1000 sources its power from a four-stroke, inline four, liquid-cooled, fuel injected 1043 cc engine. This kind of engine is bigger in size compared to that of the Ninja ZX-10R, though it is in a very different state of tune and produces 142 PS of raw power and 111 Nm of torque. If you were to do a typical roadster's engine fashion segment for these two, the Kawasaki Z1000 engines has meaty top end grunt, with a sizeable performance stacked in the midrange as well. For its engine, it is coupled with a 6-speed gearbox with short gear ratios. Compared to its many competitors, the Kawasaki Z1000 misses out on many sophisticated electronic riding aids which are basically taken for granted in this category of liter-class roadsters. The Kawasaki Z1000 has equipped with only a dual channel ABS and assist and slipper clutch, and nothing else, thus making the bike feel a bit old school in this department. The price at which the Kawasaki Z1000 is being offered makes it a stupendous value for money, and it has a couple of reasons to justify this tag. It has an extra-terrestrial styling and stance which makes the Kawasaki Z1000 look ultra-modern even after five years of the existence of its basic design. Its engine is completely packed with great performance to match its extrovert appeal, and it handles like a charm even after looking this heavy and intimidating. However, it provides less modern safety features to match its futuristic appeal too. Ayan din po ba yung price kapag bumili sa mga mismong dealer ng Kawasaki? May nakita akong Rusi na ganito ang itsura at style ano kaya ang mas okay sa dalawa?